A new spin on the world's most popular combination lock, the Master Lock 1572 uses letters on the dial instead of the familiar numbers. The twenty-letter dial has 8,000 possible combinations. 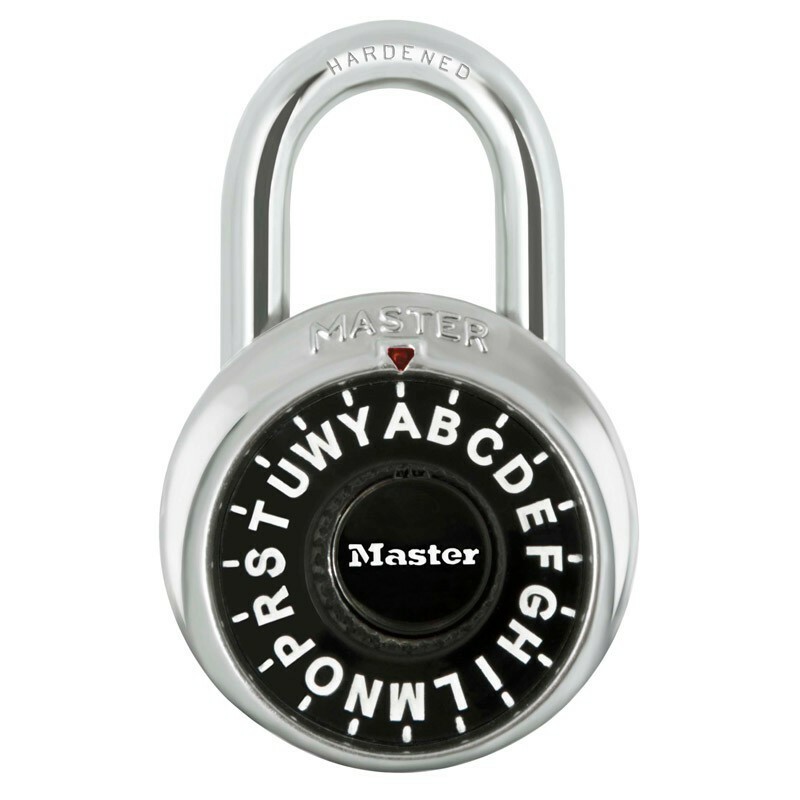 Each lock comes with a three-word mnemonic phrase to help users remember their combinations. 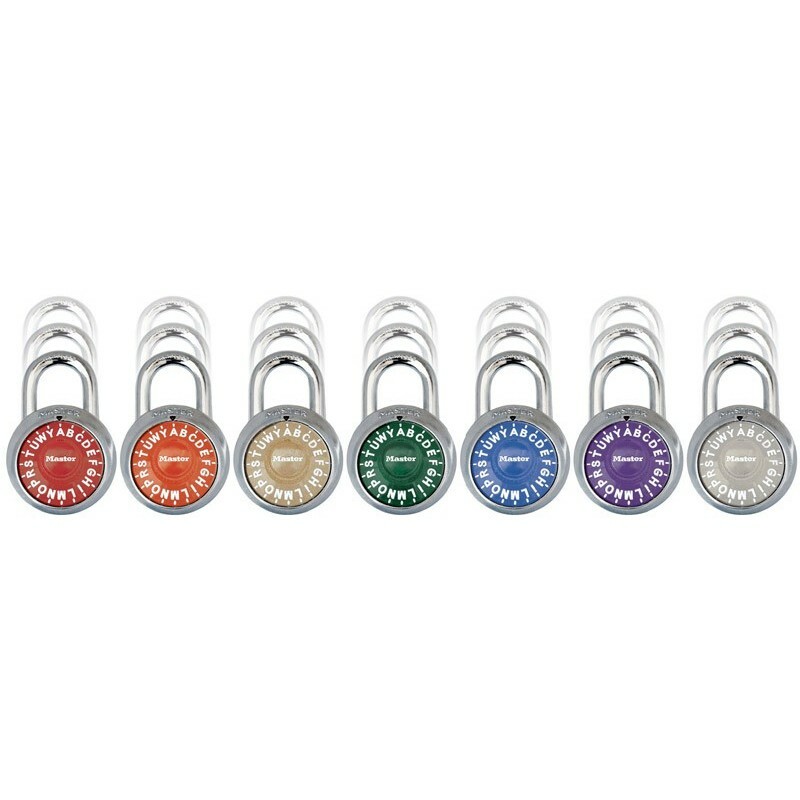 The 1572 has the same cut-resistant steel shackle and patented anti-shim locking mechanism as the rest of the 1500 series, and is available in a number of different colored dials.